Rothco Solar Wind-Up Radio | BUDK.com - Knives & Swords At The Lowest Prices! 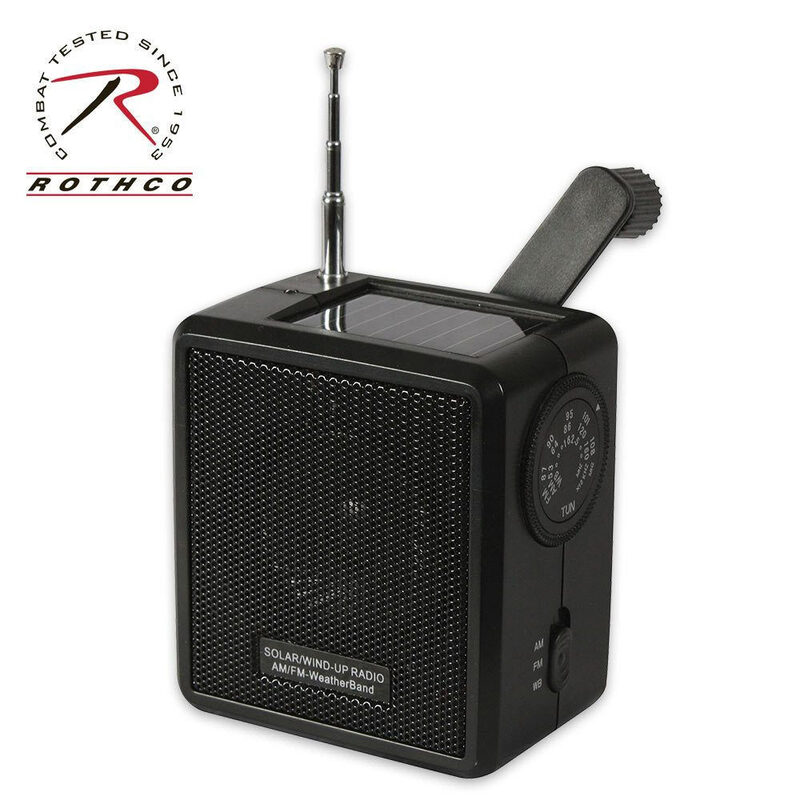 This solar-powered/wind-up radio from Rothco makes a perfect addition to your bug-out bag, camping gear collection, survival stash or boat. It provides seven hours of radio time when fully charged, and it receives AM, FM, and weather band. Great to take fishing or camping, works great. Going to buy more for my kids. This small radio is a super sounding radio that will fit in any backpack. If you love the outdoors or just need a radio for the times that the power is out look no farther, this thing is super. Every one needs one. Shipping was 8 days to Wi.